Back when harness racing was one of America’s top spectator sports, the goings-on at a horse-breeding farm and racetrack in the Midway was the stuff of front-page news. This was Kittsondale in the 1880s, a sprawling operation that stretched between University Avenue and today’s I-94, and from Pascal Street almost to Lexington Parkway, the western city limits of St. Paul at the time. 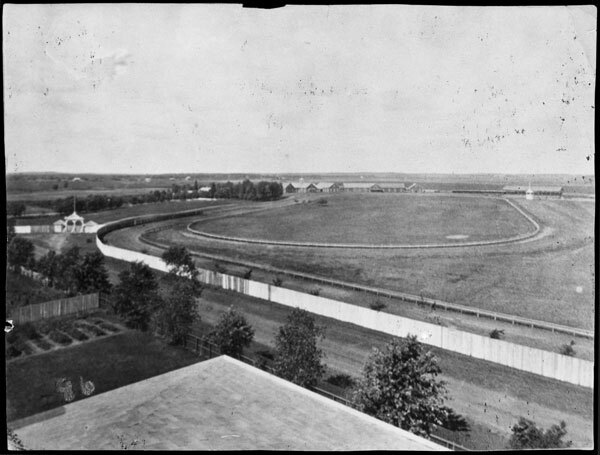 By the time Kittson took over, the St. Paul track was neglected and run down, but it had been a busy place in the 1870s and not just for horse racing. In seven of those years, it was the site of the Minnesota State Fair before the annual festival found a permanent home. Horace Greeley and President Rutherford B. Hayes were among the luminaries who appeared there. 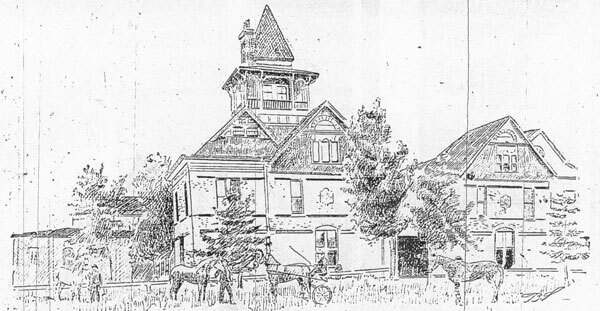 A newspaper artist’s depiction of Kittsondale in 1895. Kittson renamed the track Midway Park, but Kittsondale was the name associated with property he owned in the area and that was the name that stuck. It was an elegant facility, its stables built of wood and brick, with almost 100 stalls and sleeping quarters for trainers. The clubroom with a fireplace was well-suited for deal-making and wagering by horse owners. In a short time, Kittson acquired a stable-full of fine trotters, among them, a horse named Johnston, “King of the Turf,” for whom he paid $20,000, and Little Brown Jug, who ran the fastest heat in history to that point. There was also So-So, the dam of Oh-So, who won first place at the Chicago World’s Fair. But Kittsondale’s glory days didn’t last long. “If Commodore Kittson had been 20 years younger when he began to develop his grand idea of a breeding farm, we would have here today probably the finest one of the kind in the world,” a veteran horseman lamented. Instead, after only seven years of ownership, Kittson succumbed to an apparent heart attack while on a train returning to St. Paul. His heirs did not share his enthusiasm for horse breeding, and a month after Kittson’s death, his trotting stock of 42 horses was auctioned off. The same thing happened in Pennsylvania. 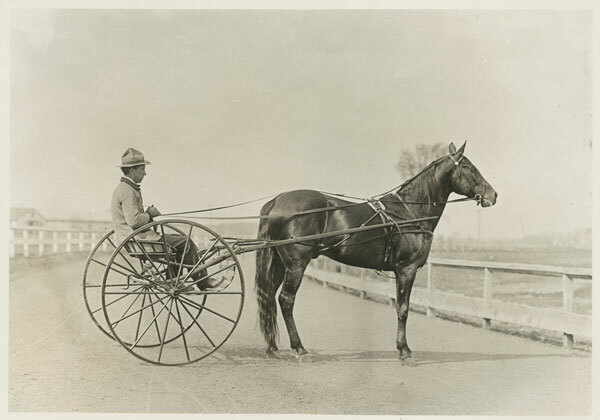 King of all the harness racers was Minnesota’s own Dan Patch. In 1905, he set a record for the mile—1 minute, 55 ¼ seconds, that stood for 30 years. The terms of his will precluded the immediate sale of the Kittsondale land and a lessee staged weekly trotter races there in the 1890s. Kittsondale was also the site of bicycling events, trap shooting, track and field, and cricket and baseball games, until at least 1910. In 1898, the 14th Minnesota Volunteer Infantry camped there after returning home, having never gotten any farther than Georgia during the Spanish-American War. The property began to be converted to industrial use around 1900. A refrigerator manufacturer acquired the track property in 1903. The Twin City Motordome, a motorcycle-racing venue, opened at the west end of the former track in 1914. 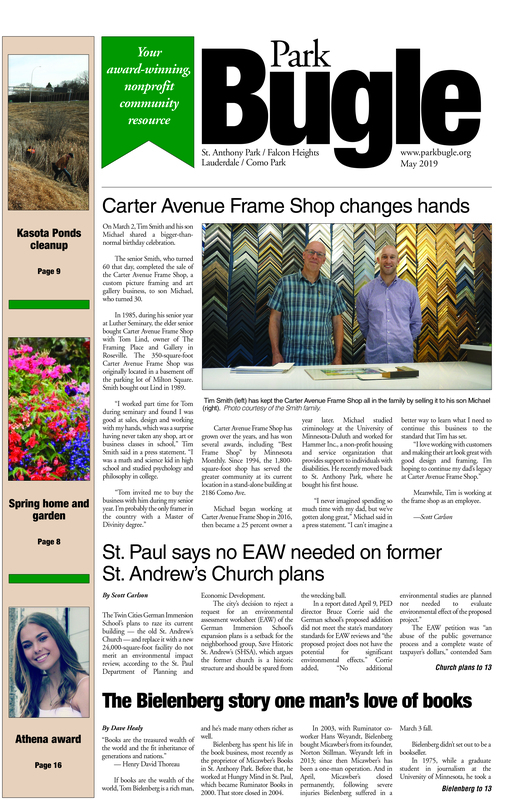 That same year, construction began on the Brown & Bigelow headquarters on University Avenue just east of Hamline Avenue. The stables had been built so solidly that they were repurposed a number of times over the years before finally being torn down in 1942 to make way for a Pepsi-Cola bottling plant. Legend has it that the Turf Club, the venerable music bar just up University, was named in memory of Kittsondale. If so, that’s the only trace left. Norman Kittson was a Canadian who ultimately became a leading citizen of St. Paul, serving a term as mayor and building a mansion on its highest hill. Kittson made a lot of money in fur trading at Pembina, now in North Dakota. 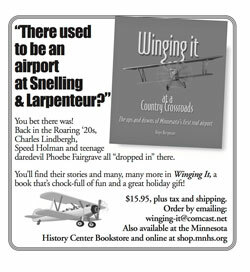 In the 1850s it was a hamlet in the northern reaches of the Minnesota Territory. And he also profited at the other end of the Red River ox-cart trail in St. Paul, where he invested heavily in real estate and settled permanently in 1855. And Kittson reached millionaire status by joining James J. Hill in building the St. Paul, Minneapolis and Manitoba Railroad to serve Fort Garry. As his health declined, Kittson retired from business and devoted his time to raising racehorses. Shortly after his death in 1888, the dismantling of his equestrian enterprises began. Kittson’s mansion was also sold and by 1904 had become a seedy boarding house when it was acquired and torn down to make room for Archbishop John Ireland’s new Cathedral. November 20, 2017 at 12:18 pm.11. Hi Roger, Good research and good writing. Interesting article, so thank you. One correction, Norman Kittson’s mansion on the brow of St. Anthony (Summit) Hill was never a “seedy” boarding house. It was however a boarding house in its last days, and attracted some fine tenants during those years until it was razed.